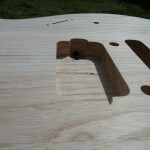 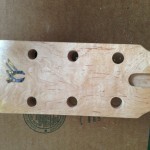 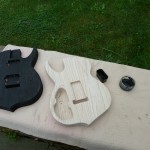 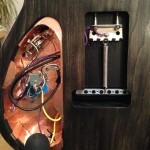 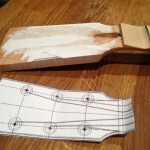 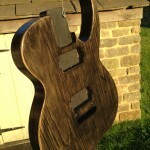 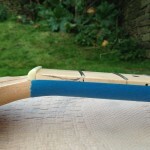 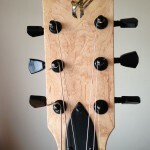 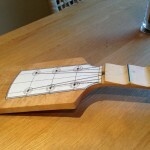 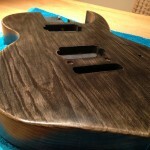 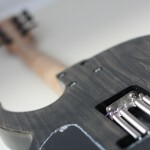 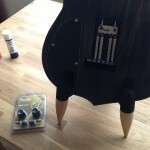 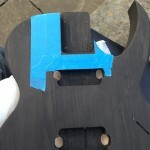 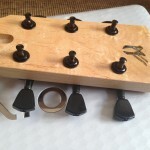 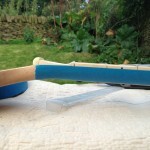 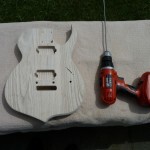 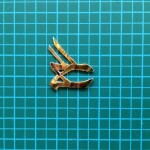 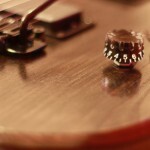 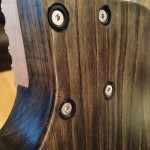 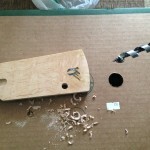 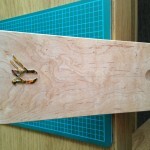 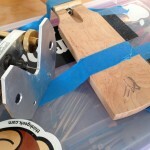 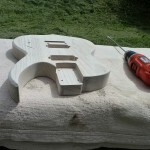 The primary delay of this project has been deciding on the headstock inlay. 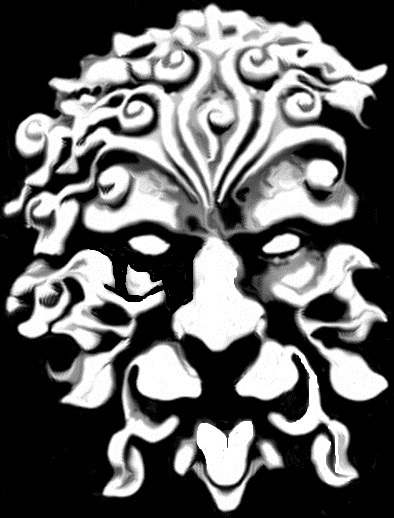 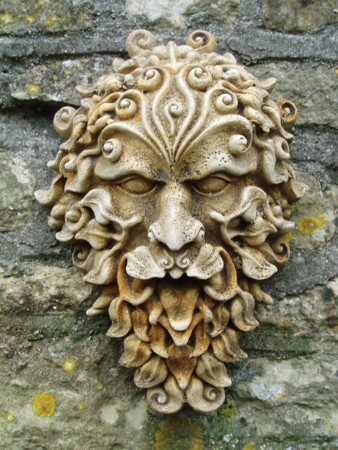 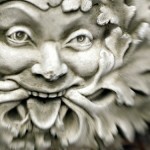 It has always been intended to be the head of the Pagan symbol Green Man, but I have laboured over the style and design for a long time. 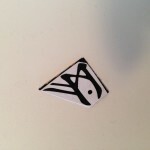 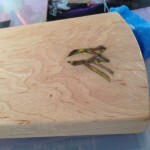 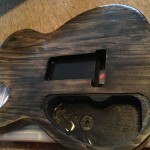 The inlay substrate will be some form of Green. 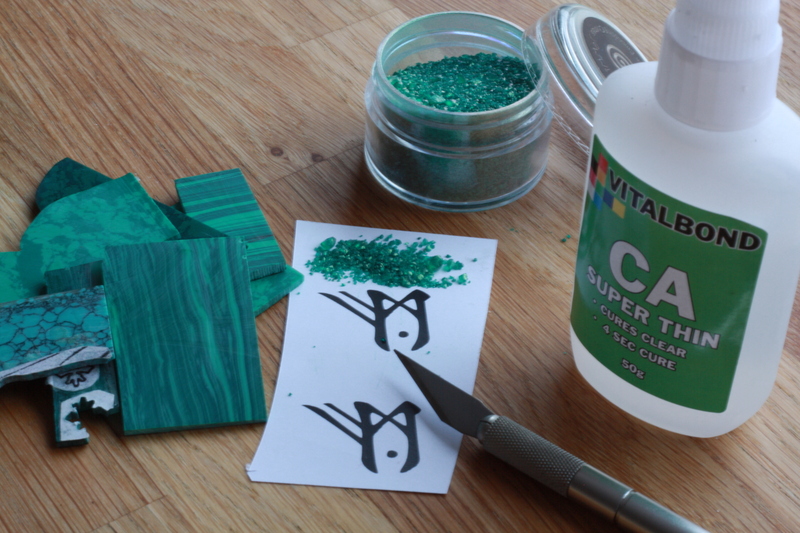 I have not decided whether this will be cut from reconstituted rock Malachite (like the brand logo will be) or whether to experiment inlaying green rock granules. 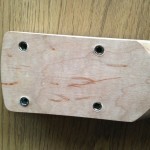 The method with the grains of rock would entail inlaying a channel into the timber, around 2-3 mm deep, then filling with the grains and back-filling with thin Cyanoacrylate. 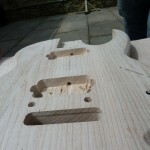 This is basically a very low viscosity Super Glue that is even ‘thinner’ than water, which will enable it to filter between the grains of rock before setting hard, ready to sand flat. I have not attempted this method before, and can only find vague reference of it’s use. 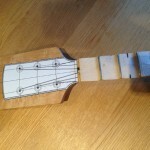 For the headstock design, I have trawled the internet for appropriate images and played around with minimalising the design ready for inlay. 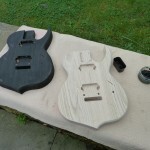 Here are some of the rough works that have not made the cut, to illustrate the basic work method. 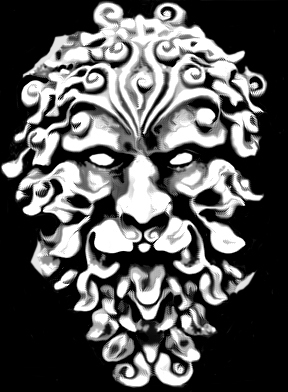 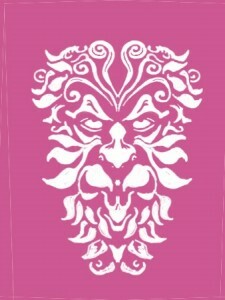 The finalised design will be much more ornate. 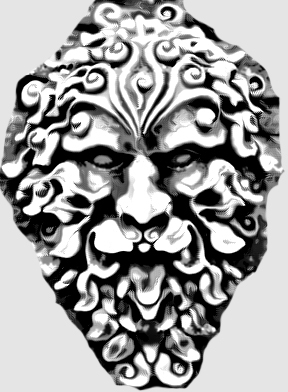 We have decided on an image to work from now at least. 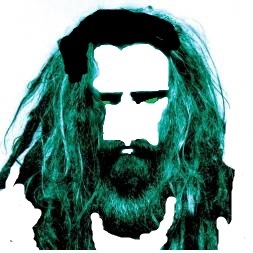 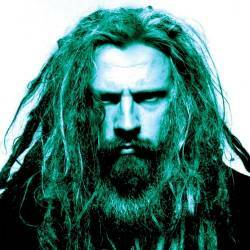 This will be edited into a silhouette form and then will go through a post-production stage to add shapes of flora around the edged of the hair and beard/moustache to keep the Pagan theme. 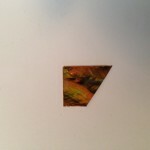 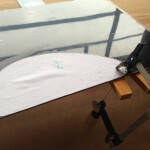 Depending on how the resulting design looks, the eyes may be inset mother-of-pearl to highlight the piece. 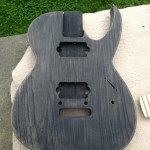 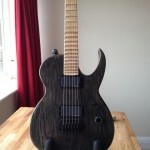 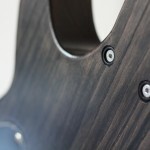 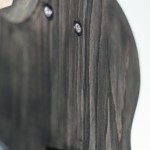 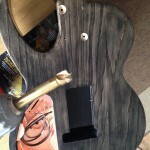 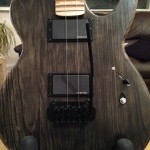 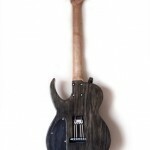 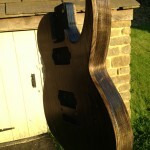 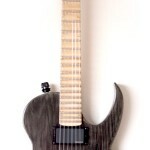 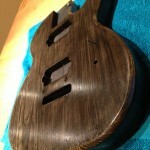 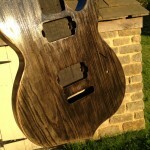 All images will be inlaid into the black ebony headstock veneer. 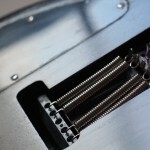 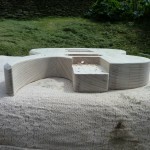 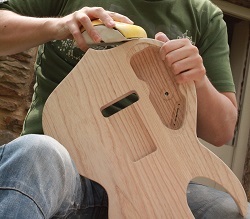 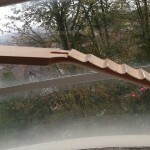 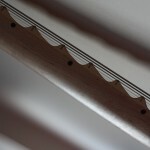 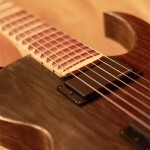 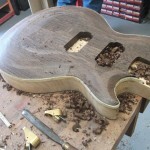 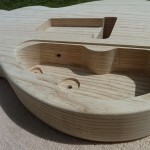 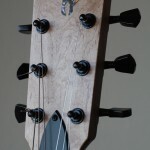 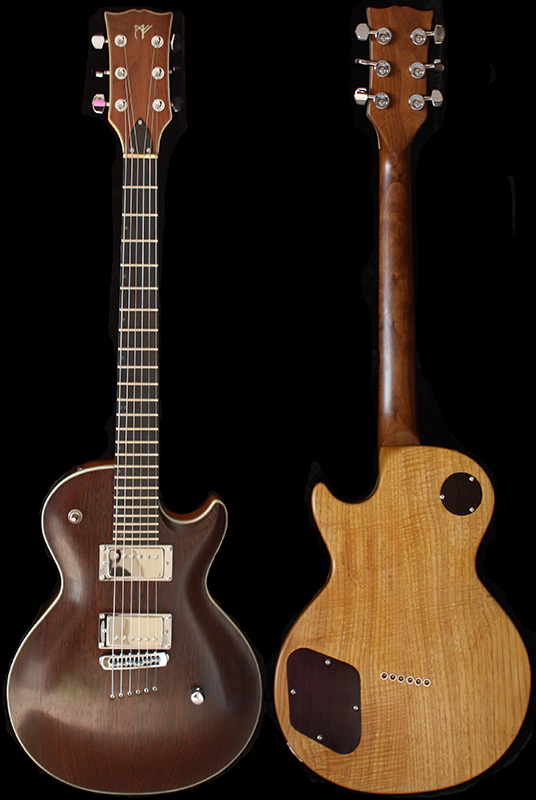 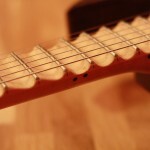 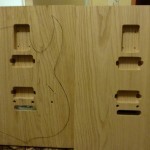 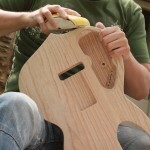 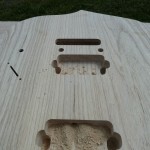 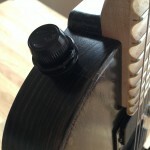 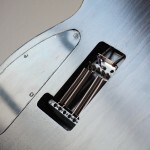 None-standard cavity shaped means custom cut-out.